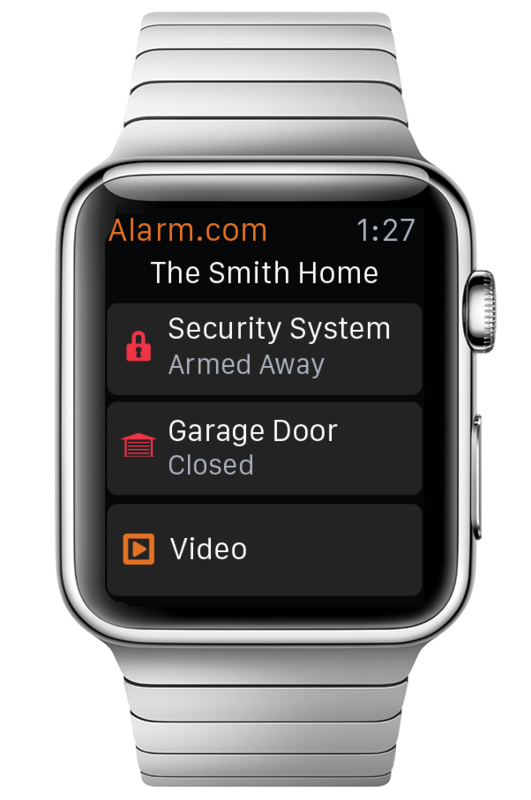 Alarm.com seamlessly connects the devices in your home for an integrated smart home experience, and our app leverages the unique features, form factor and intuitive design of Apple Watch to create new ways to connect you to your smart home. We designed our app for Apple Watch's quick and light interactions. Controlling devices across your smart home, like the security system, locks, lights, garage door and thermostats is simple and intuitive. Glances give you a real-time view of what's happening around your home. Customized alerts let you know about important activity around your property with just a quick glance at your Apple Watch. Right from your wrist, you have an instant window into your home. Together with Actionable Notifications, Alarm.com combines personalized, location based reminders and alerts with convenient automation controls. Alarm.com's Geo-Services lets you know if you left home without arming the security system, locking the door or closing the garage. Now Actionable Notifications allow you to take action or respond right from your wrist so you can instantly resolve the issue – no need to navigate to another screen or even open the app. We believe that the smart home should solve real consumer challenges in a simple but powerful way. Delivering personalized information about your home in a way that's easy to consume and respond to will add to the intuitive and meaningful user experience that Alarm.com has pioneered for the smart home. 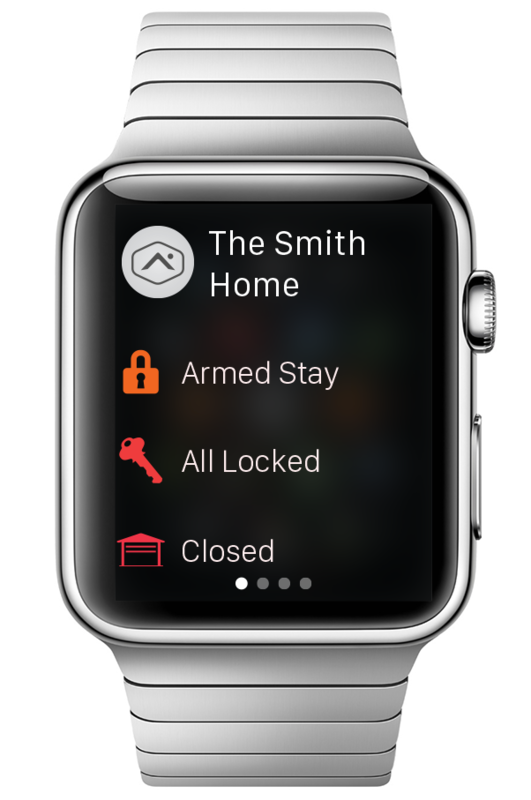 Apple Watch is a great platform for creating convenient, compelling and innovative smart home interactions. Learn more about our smart home services here.